Heritance Tea Factory will be in the limelight once again at the Pacific Asia Travel Association (PATA) Awards 2012 ceremony, taking place on 21st of April inKuala Lumpur,Malaysia accepting the Grand Award in the Heritage and Culture category. PATA Grand Awards are presented to outstanding entries in four principal categories: marketing; education and training; environment; and heritage and culture. Heritance Tea Factory is the only hotel to be presented with a Grand Award, the other winners being the Lao National Institute of Tourism and Hospitality, for Education and Training; Tourism Authority of Thailand for Environment; and Tourism New Zealand for Marketing. Heritance Tea Factory is the only hotel to be recognised as a Grand Award winner amongst 180 entries from 79 organisations world wide at the PATA Gold Awards 2012. The award lauds Heritance Tea Factory for successfully transforming an abandoned tea factory building into an eco-friendly, world-class hotel while incorporating the culture of the locality into its operations. Heritance Tea Factory the highest elevated hotel in Sri Lanka, situated 2 km above sea level was re-branded as a ‘Heritance’ property, Aitken Spence Hotels’ premier brand of resorts in late 2009 after a complete refurbishment. Recognising that a hotel does not stand in isolation but is part of its social and ecological environment, the group wanted a name that conveyed its commitment to the local community as well as to the expectations of discerning guests. Thus: Heritance – a merging of heritage and inheritance. The embracing of inheritance in the name acknowledges an appreciation for the inherited locality and environment of every Heritance property. It signifies a responsibility to safeguard and enhance for the future all that is inherited. The essence of Heritance is expressed in the service excellence and the local flavour, warmth and involvement that are hallmarks of a Heritance Hotel. It conveys a sense of duty for sustaining the natural resources of the locality of each property. “We are delighted to be the recipient of this prestigious award. Heritance Tea Factory has been able to very successfully project its historical and novel charm while still providing exquisite service and a world-class product to the discerning traveler. Receiving this award from PATA reaffirms our stance”, said Mr. Roshalal Perera, Executive General Manager, Heritance Tea Factory. At Heritance Tea Factory addressing guests’ concern for conserving the environment is paramount. Hot water and central heating are provided by biomass from locally farmed gliricidia wood instead of from atmosphere-polluting, imported diesel while waste and water management is based on sustainable recycling processes; vegetables are organically grown or sourced locally, generating income for the area. Through its Welfare Society, the Hotel sponsors community development projects. In order for the guests to experience the locality many excursions have been designed incorporating the local culture and environment. Guests can stroll on their own eco walks to explore the locality or join in organised trekking three times a day through the nearby Kudawatte jungle watching for birds and wild animals. The Heritance Tea Factory experience invites guests to take part in tea plucking and see the tea they have plucked being processed in the hotel’s Micro Tea Factory and have it presented to them in a packet the next morning. Other activities include mountain biking; mini golf; cultural events with the village community; and being pampered in a spa with a stunning view of the lush tea plantations. “The essence of the Heritance brand is to incorporate service excellence and the local flavour and warmth in every one of our properties. It is overwhelming to be recognized by PATA for practicing what we truly believe in. We have once again putSri Lankaon the map by being the only hotel to be recognised as a Grand Award winner amongst a multitude of world wide applicants”, said Mr.Malin Hapugoda, Managing Director, Aitken Spence Hotels. Aitken Spence Hotels operates a chain of 25 hotels and resorts inSri Lanka,Maldives,IndiaandOman. The group has set precedence to other hotels on how they too can be effective responsible tourism players by contributing in terms of conserving the natural environment, protecting bio diversity, empowering local communities, supporting livelihoods dependent on tourism, preserving local traditions, arts and crafts and mitigating climate change especially by using bio mass as renewable energy. The company’s premier resorts operate under Heritance Hotels & Resorts. The award-winning Heritance Hotels & Resorts portfolio consists of Heritance Kandalama, Heritance Ahungalla and Heritance Tea Factory and Heritance Ayurveda Maha Gedara. Aitken Spence PLC was ranked among the top 3 corporate entities for sustainability, governance and CSR in the country by the STING Corporate Accountability Index 2012, for the second year in a row. Unveiled in the February issue of LMD, the index consists of 63 leading companies in Sri Lanka, including the LMD 50 Companies and 9 key State Owned Enterprises (SOEs) which are rated on a compulsory basis. With an outstanding a score of 82.05, which is only 0.4 points short of the top-ranking Dialog Axiata, Aitken Spence is the highest ranked diversified holdings company in the index for the third consecutive year. The scores are derived from a proprietary model developed by the STING Consultants to reflect a holistic and integrated approach to CSR, sustainability and governance. The hierarchical ranking of companies in Sri Lanka is based on each organisation’s performance in the areas of measurement and disclosure, corporate values, stakeholder engagement, identifying impacts, risks and opportunities, policy coverage and management and governance. “A strategy for sustainable business is a necessity to succeed in today’s global market place. We see corporate sustainability as a proactive effort to ensure long-term viability, profitability and integrity of the business. We attempt to capture this perspective in our sustainability strategy that encompasses operations across a variety of sectors. Establishing and nurturing such a corporate sustainability framework is an ongoing challenge for a diversified business; but it is a challenge we are wholly committed to, everyday, as we are convinced of its ability to create long-term value not only for shareholders but to all our key stakeholders”, said Dr. Rohan Fernando, Director and Head of Business Development and Plantations of Aitken Spence PLC. The company embeds sustainability principles within the group through its Integrated Sustainability Policy-implemented under the overall direction of the Board of Management and Board of Directors- taking a 360-degree view on corporate sustainability, including a wide-range of aspects it deems necessary to be addressed. Compliance, ethical conduct, awareness of global issues, sustainable processes, governance, stakeholder engagement, human rights, health and safety, information security, continuous improvement, quality, talent management, supply chain management, innovation, customer service and credible reporting to name a few. The policy is accessible to the public via the corporate website. Calspence Technologies (Private) Ltd., an Oracle Gold Level Partner, which started operations as a Joint Venture between Aitken Spence PLC and Calsoft Group of India, has decided to consolidate its operations, as they complete the first year of commercial operations, a company communication stated. 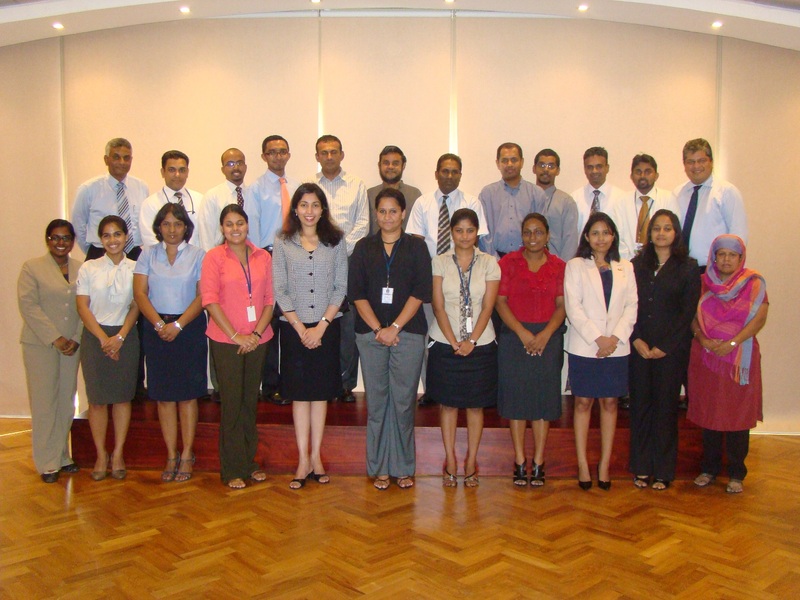 Consolidation of operations would result in the company being transformed into a fully owned subsidiary of Aitken Spence PLC, under the newly formed Technology Sector, along with a complete re-branding exercise where the company name would be changed to “Aitken Spence Technologies (Pvt) Ltd”, keeping in line with the Group’s corporate branding guidelines. Aitken Spence Technologies would continue to operate three core lines of businesses in, Enterprise Content Management(ECM), Enterprise Resource Planning(ERP), both based on core-Oracle Applications & Technologies, and Application Development based on Open Source / Java technologies. These lines would be supplemented by Managed Services, Support Services and Educational Services offerings, the communication further stated. “Aitken Spence has recognized ICT as a thrust industry which helps in building knowledge economies, which is key to growth and sustainability while overcoming dynamic challenges in the modern business environments. It is with this view and focus, that we decided to consolidate operations targeting the next financial year to be our year of growth”, stated Mr.Dinesh Mendis, Director of Aitken Spence Group Ltd.
“As a fully owned subsidiary of the Group, we further strengthen our professional commitment to all our stakeholders, principals, customers as well as prospect, with the promise of continuity and stability, that reinforces our position in the market”, he further added. Aitken Spence Hotel Holdings PLC. was adjudged the winner in the Medium Scale Category for the second consecutive year at the ACCA Sustainability Reporting Awards and once again joins the ranks of being one of the most transparent companies in the region. The awards evaluates companies’ sustainability reporting under the categories of completeness in scope & coverage, credibility and communication. Reports are evaluated by an eminent independent judging panel consisting of experts in the field of sustainability and environmental reporting disclosures. Organised by ACCA Sri Lanka for the eighth year the grand award ceremony was held on February 14th in Colombo under the aegis of Chief Guest, Diarietou Gaye, Country Director for Sri Lanka and Maldives – The World Bank, while the Guest of Honour for the event was Lucia Real-Martin, ACCA Director, Emerging Markets – Asia. “We are delighted to have been adjudged the winner in the medium scale category once again. This commendation reflects Aitken Spence Hotels’ track record of commitment to corporate accountability and championing sustainable tourism by producing industry best practices.Sri Lanka’s tourism industry is currently experiencing a boom and has been identified by many of the prominent international hotel chains as a sought after destination. As a country we need to be focused on positioningSri Lankaas a sustainable tourism destination in order to attract the premium brands which will in turn help positionSri Lankaas an up-market destination. This repositioning will bring vast benefits to the country’s economy and its people”, said Mr. Malin Hapugoda, Managing Director, Aitken Spence Hotels. The ACCA Sustainability Reporting awards is held in over 30 countries and is based on judging guidelines established by ACCA worldwide. It is open to any type of organization encompassing all business sizes. The ACCA Sustainability Reporting Awards are already functional inAustralia,Canada,Hong Kong,Ireland,Malaysia,New Zealand,Pakistan,Singapore,South Africa,Sri Lanka, theUKand theUSAwith similar awards, largely based on the ACCA criteria, existing inBelgium,Denmark,Finland,France,Germany,Holland,Italy,Luxembourg,Norway,Portugal,Spain,SwedenandSwitzerland. Aitken Spence Hotels located in strategic locations inSri Lanka,India,MaldivesandOmancaters to a diverse market segment and is famed for its stellar service, exquisite food and world recognised sustainable practices. Over a period of time the reputation gained has helped to position the chain of hotels as one the best in the region. Blue chip conglomerate Aitken Spence PLC reported its interim results to the Colombo Stock Exchange on Monday, showing Rs 3.02 bn as pre-tax profit and Rs 1.95 bn as profit attributable to shareholders for the nine months ended 31st December 2011; an increase of 24 per cent and 20 per cent respectively over the previous year. For the third quarter, the company recorded a growth of 53 per cent in pre-tax profit and a growth of 41 per cent in profit attributable to shareholders to Rs. 1.34 bn and Rs. 819 mn respectively. The diversified group’s nine-month revenue rose by 15 per cent to Rs. 21.02 bn while the revenue for the third quarter rose by 30 per cent to Rs. 8.06 bn. Earnings per share increased by 20 per cent to Rs. 4.81 for nine-month period while it rose by 41 per cent to 2.02 during the third quarter. “Our travels, Maldivian resorts, and maritime services sectors contributed considerably to the bottom line. The Group’s port related operation in the African Continent which completed five years of business continued to contribute strongly towards the performance of the Group while the apparel sector successfully surmounted the removal of GSP and having secured strong relationships with customers performed well during the year. The printing sector too performed well and with its continues commitment to quality invested in a new state of the art six colour printing press and an eco friend factory in Mawaramandiya which will be in operation soon.”, said J M S Brito, Deputy Chairman & Managing Director of Aitken Spence PLC. The Company’s travel arm, the largest inbound operator in the country, which recorded a robust performance during the period under review, is a joint venture with TUI Travel Plc, the world’s largest integrated tourism group. Aitken Spence is amongst five largest resort operators in the Maldives with an internationally-acclaimed chain of resorts under the brand Adaaran. The Group is Sri Lanka’s largest logistics service provider covering the whole gamut of logistics related services including container operations, freight forwarding, maritime services and express. During the period under review Aitken Spence increased its stake in Colombo International Nautical and Engineering College (Private) Ltd., (CINEC) and now has a significant holding in the country’s largest private sector higher education campus. The Company expects to extend the synergies derived from this affiliation to expand the educational programmes offered by CINEC into other industries that the Group operates in. “With almost 50 functional environmental management systems benchmarked under ISO 14001 across the Group, Aitken Spence is committed manage its impact on the environment systematically. We are pleased to have announced several achievements during the last quarter which will add to our many international and country firsts, in championing sustainable business”, said Deputy Chairman & Managing Director J M S Brito. Heritance Ahungalla, Sri Lanka’s leading five-star resort, owned and managed by Aitken Spence Hotels was certified for Energy Management System ISO 50001:2011, the first hotel to receive the certification in Sri Lanka. Aitken Spence Hotels’ first hotel property, Neptune Hotel, recently re-opened as Heritance Ayurveda Maha Gedara was the first hotel in the country to enter into a Net Metering Agreement using solar photovoltaic as the renewable energy source. Aitken Spence Cargo, the Freight Forwarding arm of Aitken Spence PLC was awarded ISO 14001: 2004 Environmental Management Systems Certification, the first major freight forwarder in the country to receive the certification.